Affair number 4, “I Fell Out of Love and Just Love Being in Love.” This affair, I think, is really problematic in terms of confronting the other person and I think there are pretty good reasons for that. 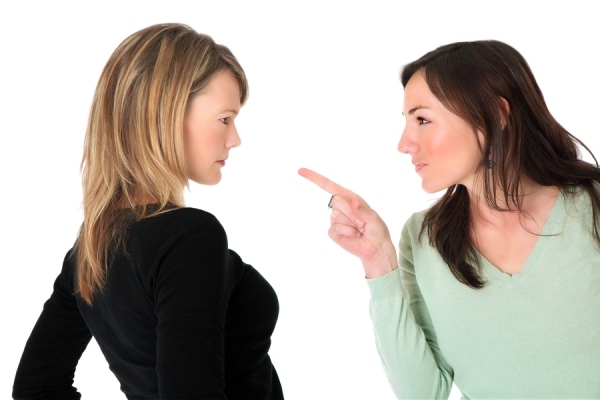 Confronting the other person provides juice for the affair couple, because the affair couple loves drama. They’re often drama queens or look for that emotional high. Confronting the other person may solidify and strengthen the affair relationship. Also, what may happen is the affair could have been and may have been rather quiet or subtle or in the background, but confronting the other person, your cheating spouse may become more overly critical of you and may begin comparing you to him or her in hurtful ways that the cheating spouse is oblivious to. Interestingly enough, I interviewed Linda, whose husband, Doug, was involved in an emotional affair. And she decided that she would not confront the other person, which was really interesting. This entry was posted in Dr. Huizenga's Blog Posts, Emotional Distance, Emotional Infidelity, Infidelity Marriage, Infidelity Pain, Infidelity Reasons, Learn How to Confront the Other Person, Real Life Infidelity Stories, Surviving Infidelity and tagged emotional affair, infidelity, Learn How to Confront the Other Person, Types of Affairs. Bookmark the permalink. That is such right on information! I belittled the ow by texts and I played right into the poor, misunderstood partner. Listen, please to this advice. I confronted the OM knowing that my wife and he had been friends for a very long time. I was a pure Gentleman and respectful knowing that at that time, out classing him would prove I was the better person. I didn’t demean and informed him that I was aware of his inappropriate relationship with my wife and that his relationship with her was over. I kindly asked him to reciprocate the fact that I was being a pure gentleman, especially under the condition,s and asked him to do the same. I then proceeded to request that he permanently delete any pictures, emails, texts, chats and contact info. My final request was that he inform his own wife of what he had been involved with. I said good and 1 week later I texted him for the last time and asked him of he performed his gentlemanly duties. He said yes and no further contact was necessary. It was a gamble that paid off. He knew I knew about his past relationship with my wife and he was never challenged. I knew he was a coward all those years. And so i pulled the upper hand by putting my voice in his head. Wow…that was a real crappy and low thing to do at Christmas time just to make yourself feel better. God bless your wife. Just recently found out that my husband was having an affair for a few months and he tells me that he’s sorry but I feel like that they might still be in contact with each other. I don’t know what to do? YOU NEED TO TELL YOUR HUSBAND THAT IF HE WANTS TO WORK ON YOUR MARRIAGE ANY MORE CONTACT IS NOT APPROPRIATE. IF YOU STILL HAVE SUSPICIONS, YOU NEED TO TELL HIM HE NEEDS TO BE 100% TRANSPARENT (MEANING YOU CAN HAVE ACCESS TO HIS PHONE, COMPUTER, ALL PASS WORDS ECT ANYTIME). IF HE CAN’T DO THAT FOR YOU, THEN HE IS NOT BEING TRANSPARENT WHICH MEANS HE HAS SOMETHING TO HIDE. THEN YOU HAVE TO BASICALLY GIVE HIM THE CHOICE HER OR YOU! I DIDN’T DO THAT AT THE BEGINNING, BUT IT FINALLY CAME TO THAT, AND THAT IS WHEN MY HUSBAND RECOMMITTED TO ME! I did contact OW by letter that contained my email. I was respectful and gracious. I wanted her to know I was real and what the 2 of them had done effected several people. She wrote me back and I was able to ask questions. Of course she deflected all fault away from her. It was cathartic and gave me power. I would weigh all options but it worked for me.